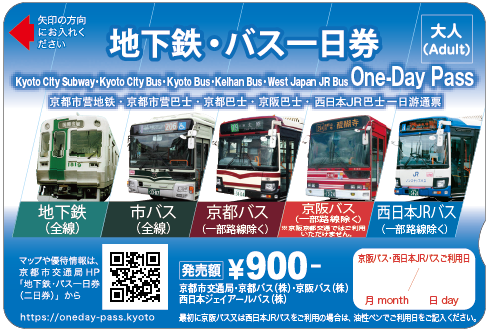 Kyoto City Bus & Subway Information Guide:How to Take the Bus. 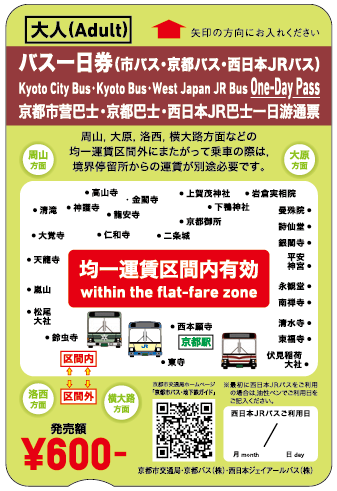 Thank you for using the Kyoto City Bus. The service may be unavailable depending on certain conditions at the time despite the bus being marked with the symbol. Please refrain from shouting or causing a commotion on the bus and at the bus stop. Please do not throw away trash on the bus or at the bus stop. Smoking is prohibited on the bus and at the bus stop. Please make sure to hold onto the hand rails or straps available during transit. Use the route map to figure out which bus you need to take. 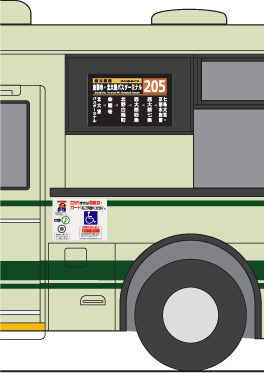 1All Kyoto City bus stops will be identified by this sign. 2 2Bus routes that will stop at this bus stop. Bus stops are seperated by bus routes and their destinations. Some bus stops will display where the bus is currently located. 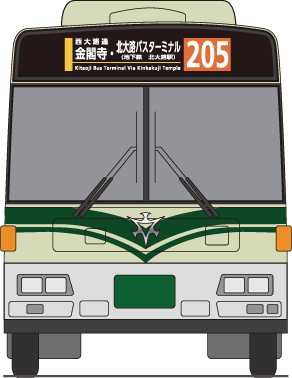 The destination sign on the front of bus, back of the bus, and by the door will inform you of its destination and route number. Use this information to make sure you take the bus you need. Please wait in line in a manner that does not obstruct pedestrian traffic. If you are not getting on the arriving bus, please make way when the bus arrives so that the people behind you can board. Smoking is prohibited at all Kyoto City bus stops. Please do not throw away trash at the bus stop. Please refrain from shouting or causing a commotion at the bus stop while waiting for the bus to arrive. Do not lean on the bus stop or stand too close to the road. 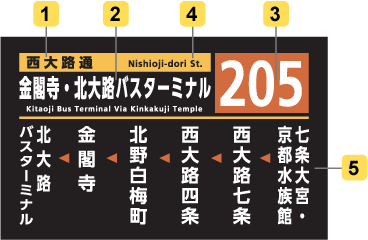 Line color is used to indicate the primary street (north-south direction) that the bus will take. Each street is given a color.